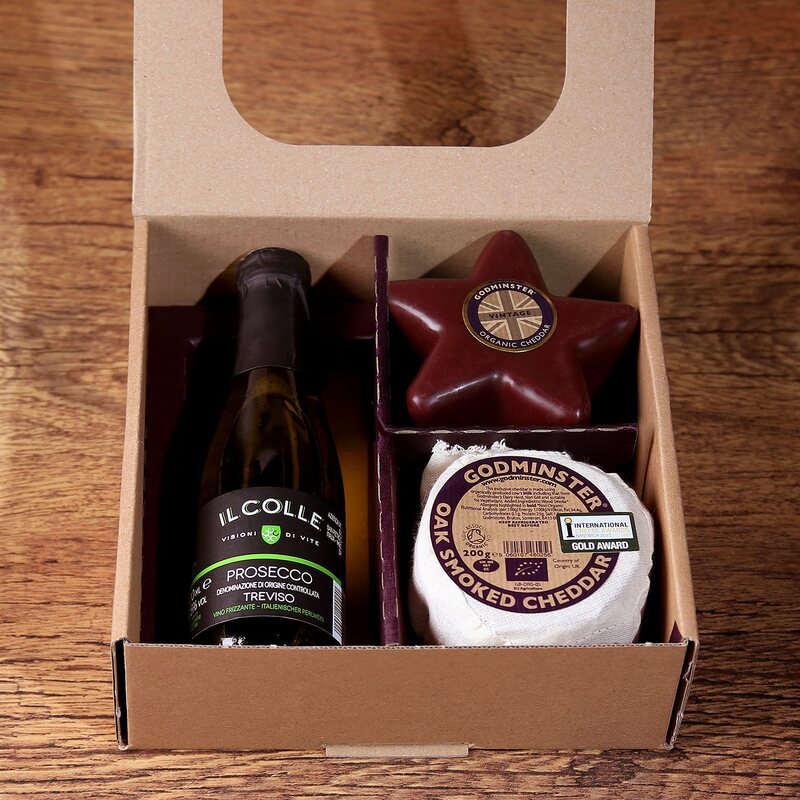 Combining a pair of Godminster Organic Cheddars with a beautiful bottle of Il Colle Prosecco, this is a luxurious treat for any occasion, and the perfect size to take on a picnic. 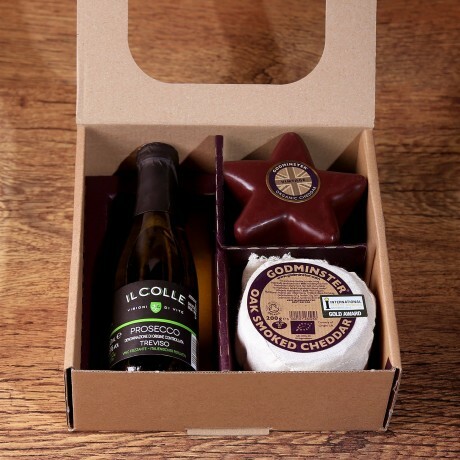 The smooth creaminess of our Vintage Organic Cheddar and the rich smokiness of our Oak-Smoked Organic Cheddar pair together beautifully with Il Colle prosecco; the bubbles cut through the creaminess of the cheese. Il Colle prosecco is made in the hills of Treviso in Italy by a family business using traditional traditional techniques. 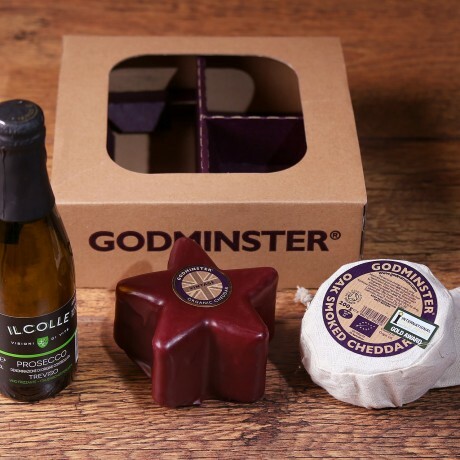 Its fresh and fruity flavour pairs perfectly with Godminster’s Vintage Organic Cheddars. Both cheddars are organic, containing no preservatives, so Godminster recommend refrigeration at all times at 5°C. Remove from the fridge an hour before serving to allow the cheese to warm to room temperature and bring out the flavour.